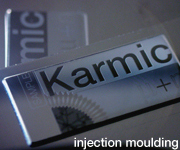 Karmic micro + nano, Products page. 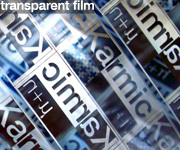 Described here : Lithoguard (TM) a novel and proprietary ROVID (reflective optically variable image device) authentication technology nanotechnology solutions ideal for brand protection and integrity. LithoguardTM is a novel and competitive overt marking technology for the visual authentication of products at point-of-sale or point-of-transit. 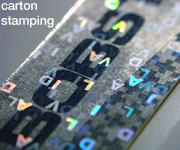 Completely resistant to copying attempts by digital scanning or photocopying thanks to optical variability, Lithoguard fights counterfeiting by dramatically raising the difficulty of copying branded goods and their packaging. How and where Lithoguard can be applied. To discover how Lithoguard can meet your specific brand integrity requirements, simply contact us.